FAMILY SIZED! 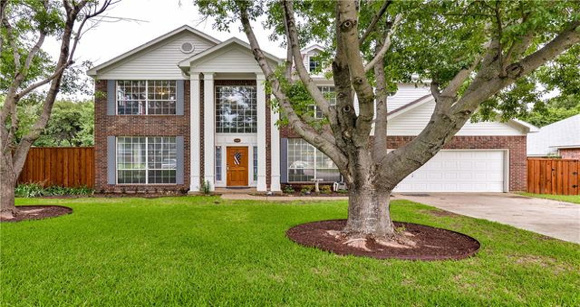 This 5 bedroom, 3.1 bath home in Timberview features a gourmet kitchen with granite counters, tile floors, abundance of storage and SS appliances. Open floor plan offers large family room with fireplace, formal living and dining perfect for entertaining. Retreat to the master suite and enjoy his and her vanities, garden tub and separate shower. Fifth bedroom is flex room, currently an office. Backyard oasis will provide plenty of family fun time! For more information about this property, please contact Diane M. Grove at 817-337-0000 or info@groveteam.com. You can also text 3637094 to 67299.